Vegetarians and cyclists – you’ll have to scroll down for that! A plea from the Radicals – Get involved! Thanks to all those who presented and took part and to the organisers. Top of the bill was the festivals. Disappointing news to begin with from the Mizen Foundation (see Mizen Foundation Letter). The Foundation acknowledges that there is much work to be done to ensure the Good Hope Festival is a success and they do not feel it will be possible to finalise the planning in time for the proposed August 2014 event. Instead, there will be an event to launch the festival on 02 August. This reflects the ambitious nature of the Festival and although there have been some local concerns the licence had been granted for this year but there was a lot of detail still to sort out. There was some rather childish glee on the faces of some at the Assembly, despite the overwhelming local support, including from the Blackheath Society, for the Festival. The Foundation now need to work closely with local partners to ensure a new licence is granted next year. OnBlackheath is going ahead on September 13-14 (after lengthy consultation and legal challenges). Alex Wicks, one of the organisers noted that he was born and bred locally, as was one of the other directors, and wanted to promote the area to the rest of London (cue much grumbling as clearly common land is only for local people). The event is aimed at over-25’s and families. Tickets will cost £45-55 for adults with concessions for children and the under-5’s. At first glance this seems a lot, but is the cost that different from taking the family to a musical or the theatre? OnBlackheath have teamed up with Harvey Goldsmith promoters who have many years of experience in putting on events, including for the Prince’s Trust and Live Aid. It was confirmed that John Lewis is the headline sponsor. The formal launch would take place in a few weeks (@onblackheath for twitter or www.onblackheath.com). The proposal had been for a capacity of 24,999 but the planning stipulation had reduced this to 15,000. There remained legitimate concerns about the impact on Hare and Billet Road as it could be closed for up to nine days. However, these details would be worked through with TFL, the Police, and other to ensure disruption was kept to a minimum. It was recognised that the 380 bus route was a vital connection for many to Lewisham and it would be important to maintain the service. Since the announcement about the Good Hope Festival the OnBlackheath team had been in contact to see if any of the ideas could be accommodated. In approving both The Good Hope Festival and OnBlackheath the planning officer had taken into account local concerns and set conditions for the events to finish at 22:00 and the agreed noise levels would be close to that suggested by the Blackheath Joint Working Party. As this was the first time festivals had been on the heath both events had been approved for the same year to test the suitability of different sites on the heath for large events. Despite some of the hysteria and misinformation that had pervaded previous talk of the subject, the planning officer confirmed that the licence process is annual and no precedent is set. A licence granted for 2014 is just for 2014. Events in future years will have to submit a proposal in the same way and go through the same rigorous process of approval. This did not stop some in the meeting citing Clapham Common’s experience of 13 ‘events’ last year. No context was added to this statement but the planning officer thought that was excessive anyway, if that was related to big events. However, taking a reasonable approach (radical for a Blackheath resident, so apologies), this Radical reckons that events that require a licence will include funfairs, the circus and Marathon so out of context it could be argued that getting on for ten ‘events’ are already held on the heath. This Radical felt that in the Q&A those who had been and always will be against any events started raising lots of questions in an accusatory manner rather than a reasonable and constructive way. “So who’s going to pay for the policing?”, “Who’s paying for clean up?”, “What about people leaving the concert?”, What about people who just turn up to the heath and refuse to leave?” “How will the crowds be controlled?” “What about the grass?”. This was rather demeaning and a bit embarrassing as some of the behaviour (including talking and grumbling as questions were answered and the ‘we know best’, despite not being aware of the facts, tone of the questioning) was unacceptable. This Radical struggled at times to hear responses. The Radicals can only apologise for this. Surprisingly, Blackheath is not the first place to hold such a festival and there is plenty of experience of managing large scale events and many of the questions seemed not to acknowledge this. OnBlackheath and the planning officer provided clear answers. A licence is granted based on the proposal meeting Council criteria. The detail is then worked out through the Events Safety and Advisory Group. This is the established process. It is entirely rational and reasonable for a licence to be granted and then for the wide range of partners to start to plan the detail. It would be a waste of time for TFL and the Police to sort out all the details before a licence was granted – especially as the planning officer pointed out, he has the power to approve the bid but set conditions (such as closing times) that may differ from the original plan. As with any major event stewarding and policing costs will be met by the organiser. Stewards will be on the route to Lewisham station. The site will be fenced and controlled. When it closes people won’t be able to stay on the site and experience from other major events suggests that people do in fact go home afterwards. OnBlackheath acknowledged that damage to the heath could not be avoided but that the latest artificial flooring can help mitigate it and a fund would be set up for clean up and restoration. On a more positive note, a number of local residents have stepped in to save the Christmas lights. First, the mechanics of it all. Responsibility for the lights passed from the Traders Association to one individual and the lights have proved difficult to maintain, as recent years have shown. The proposal is for the new-sub group (of the BJWP?) set up by volunteers to look in to this would oversee the lights. But this needs to be a business and community supported project for it to work. The Council have a contract for lighting with Skanska and are investigating whether this will cover maintaining, erecting, and storing the Christmas lights. That will have an impact on what can be achieved and unsurprisingly it is complicated. To retain the cross-street lights the owner of each building with an existing hook or marked for a new one will need to agree. This apparently will include liability issues. As was pointed out, it is not so simple just to get the Traders Association agreement as they may not be the owners and the chains will require someone to navigate the bureaucracy of head office. It was noted that as there are still questions to answer it may not be possible to get a solution that can be deployed fully in 2014. In that context the sub-group have considered cross-street lighting, lights on lampposts, and tree lights for contingency planning purposes. In the Radical’s not so radical view, something close to the existing lights looks best – although whether ice white, warm white, multi-coloured, or changing colour lights are best is yet to be debated! Orbs either hanging across the road or on lamp posts looked a bit naff, as did banners across the road. Banners on street lights could be an option if cross-street lighting is not possible this year. Lights on trees are also available and big orbs or ‘tree-wrapping’ (lights along branches) are options. Prices range from £6,000 to £16,000 for street lights and roughly £1,000 for lighting per tree. 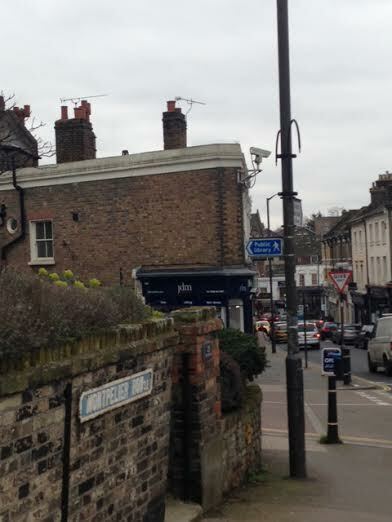 The Blackheath Society are holding an allocation of £6,000 for lights and the sub-group plan fund-raising with local businesses and the community. It was agreed that we need a sustainable solution that provided good value. The Radicals have declared a preference and as it happens the ‘normal’ street lighting is cheapest and offers the best value (bulbs are £1 to replace and available commercially). Councillor Kevin Bonavia is involved, but was detained on other business so could not attend the Assembly, but we hereby offer support with fund-raising and/or assessing options. Linked to this, ‘Village Day’ – lights turn on, community events – is scheduled for 06 December. Further details at the next Assembly. The Christmas Fayre will take place at the Halls on 23 November. Next up was the Lewisham Gateway plan. For those not aware visit www.newlewisham.com. The plan is to regenerate the area around the station and improve traffic flows. This will include the removal of the roundabout and a new traffic system being installed. New residential properties will go up, a Premier Inn will be built, and there will be some open space that utilises the Quaggy river. It will be a two year project with the first phase starting in weeks. 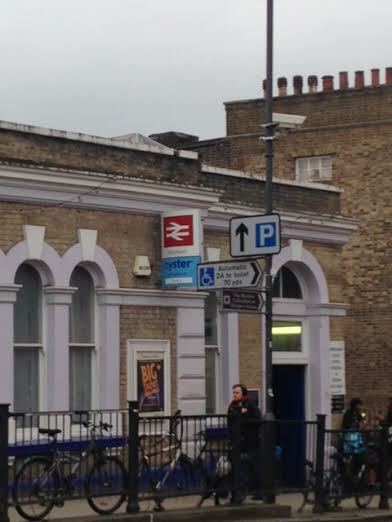 The main issue seemed to be that Station Road would be closed and people accessing the station from Lewisham Road would have to walk round to the DLR station to access the mainline. Whilst inconvenient, possibly not the disaster much of the huffing suggested. It was noted that re-opening the access to Platform 4 (on the Tesco side) would help but this is a Southeastern decision. If you want it to happen, email Southeastern! On a positive note the developers were keen to add a cinema to the site, although as the shopping centre site was also considering a cinema if they got agreement first then the Gateway developer would not contest it. All very grown up and harmonious. Part of the Premier Inn agreement includes a requirement to provide public art in the form of a ‘light sculpture’ under the railway arch between what is currently the carwash and the Texaco petrol station. A number of conceptual artists have come up with a design: Conceptual Art Proposal. No, this is not an IT error the proposal is for a sign that spells mahsiweL – ‘Lewisham’ backwards of course! Once the laughter had died down some sensible comments were made around persuading Network Rail/Southeastern to spend a bit of money sprucing up the bridge, or just improving the lighting without artwork might be good. Unfortunately the art is not publically funded so money cannot be redirected. slacidaR like the redevelopment, but don’t like a rather lazy piece of conceptual art. In other news, the Blackheath and Greenwich Eco Group reported that it was trying to get a ‘Vegetarian Day’ going. This could take place on Thursdays and was modelled on events in Belgium and the Netherlands. It would promote vegetarian eating as a way to help save the planet, although people would not be banned from eating meat on a Thursday in the village. This was politely noted. Brian Turpin also spoke and wanted to promote safer cycling in the village and urged improvements to the roads to make them more cycle friendly. The next meeting will be 28 June. We Radicals urge all those interested in the area to attend. The demographic attending the meeting was not representative of the village, yet these meetings do matter and help inform decisions. This blog stemmed from increasing irritation at the way events on the heath and other proposals were being blocked by people seen to represent to local population who actually only represent one small section of active and vocal residents. Of some 80 people at the meeting, only a handful seemed to be under 40. New Wine Bar, Old W(h)ines – Exclusive! So, what is happening with the new wine bar, Le Bouchon, that is due to replace the Curry Garden? Regular visitors to our blog (it is rather good you know) will have seen the owner Jean Philippe’s responses to an earlier post about this exciting new venture in the village. Others will have no doubt been curious about the work taking place. Check out the plan: Floor Plan. Le Bouchon is an independent venture that promises good wine and food. Terroirs (near Charing Cross station) is a target Jean-Philippe is ambitiously aiming for! 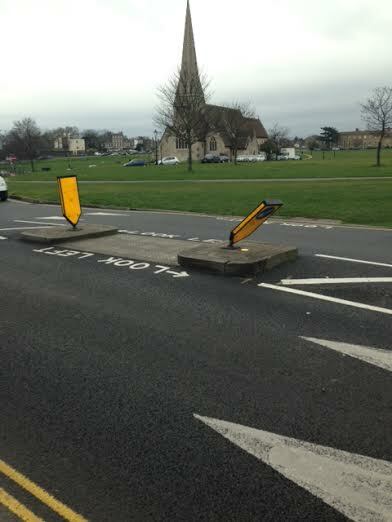 Of course, this wouldn’t be Blackheath without objections. Four in total. That means the proposals will need to go to the planning committee. Jean-Philippe has spoken to the planning office and is “very confident” the plans will be approved. Why object? Noise is the basis for two of them. Will a civilised wine bar offer any more than close neighbours The Crown, O’Neills’s, Giraffe, Pizza Express? One objection felt there were enough drinking establishments in the village – no wine bars though and before anyone mentions Morden’s, please don’t! The final objection was on the highly contentious location of the door. Sacre bleu, the plan proposed moving the door from the centre to the side. Fortunately Jean-Philippe has come to his senses and the revised plan puts the door back in the centre (see Front Plan). The bad news is that going to committee will delay things and we will have to wait another month or so before the (centrally located) door opens. Now, back to important matters: the booze. Jean-Philippe reports that he has 200 different wines on his list so far, focussing on what he knows which is mainly French, Italian and Spanish vin. Wine buffs will no doubt recognise some of the offerings but Le Bouchon also promises to provide unknown and surprising wines too. The Radicals are keen wine drinkers but not connoisseurs and are informed that the “must have” wines will be covered such as Chablis, Pouilly, Picpoul, Rioja plus the less well known such as Viré Clessé, St Chinian, Jurançon. Refreshingly Jean-Philippe wants to offer as broad a selection of wines by the glass and carafe as possible – a departure from the many places that provide an extensive list but offer only a limited number in small quantities. Not something that normally troubles the Radicals, but it will allow patrons to try a selection of wines on one evening. It is disappointing that objections have led to delays but the Radicals eagerly await the opening of Le Bouchon! While it may not be at the Radical end of the revolutionary spectrum ‘street clutter’ is something of a pet hate for us. 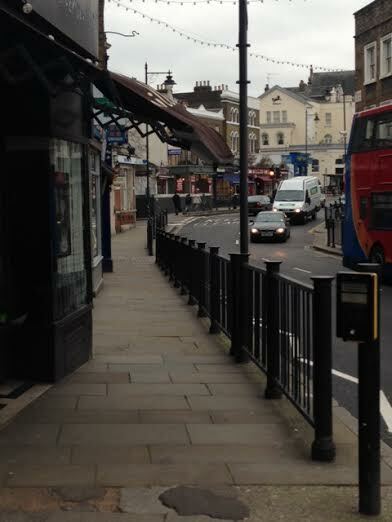 And Blackheath village has quite a bit of clutter to get us agitated. Here’s a quick run-down of some of our favourites. Let us know what you think – including that we should get a life! 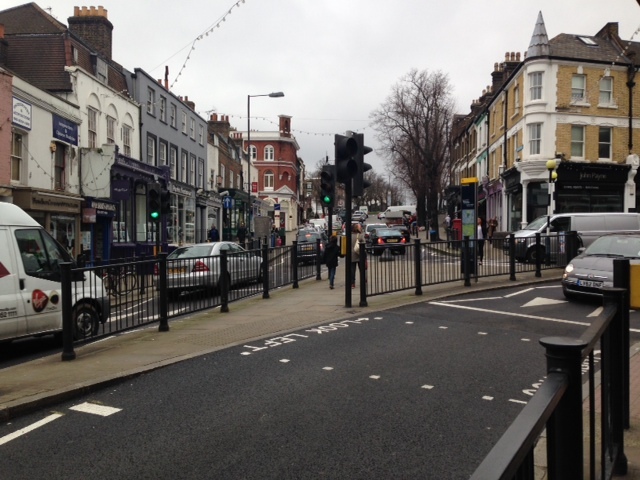 First of all – and perhaps most controversially – are the railings though the centre of the village. Though it’s true to say they’re not offensively ugly the real question is why such bulky railings are needed in a 20mph zone that has plenty of ‘traffic calming’ measures? In addition to being unnecessary they’re also a danger for cyclists who have no where to go when larger vehicles get close. And as the excellent Simon Carter (@kingofcufflinks) recently found, the position well in from the curb makes the pavements narrower than they need be and consequently a real effort to make shop front changes, like adding a new shop sign. Is this a matter for the council? And perhaps we’ve got this one wrong and the railings really are necessary, but it’s worth asking the question as they represent a large part of the street clutter in the village and it’d be great to see how the place looked without them or with a more appropriate design that did not restrict so much space on the pavements. Now, signage. There’s lots of it and not all of it is necessary and that which is necessary is not always presented as well as it might be. 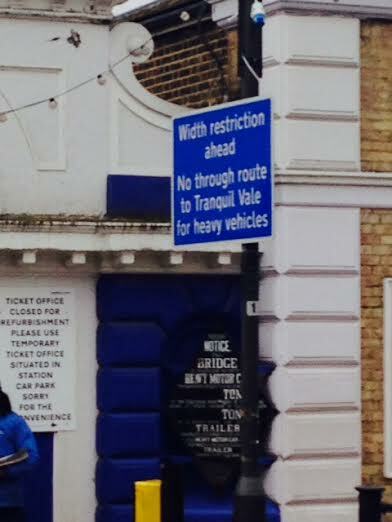 For example, no doubt there is a need to warn drivers of the width restrictions on Tranquil Vale but: (a) must the sign be this large; and (b) must it be located right outside the station, obscuring the vintage sign behind it? Why not place it by the mini round about at the top of the village? And talking of signs by the station, this conflagration is a particular favourite. As much as the location is annoying, it’s the randomness of the size and direction of each sign when placed together in the way they are. It always reminds this Radical of a game of Jenga – perhaps that explains the feeling of dread when they come in to view. Some signs, like this one to the now closed public library, just need to be removed – along with the post. 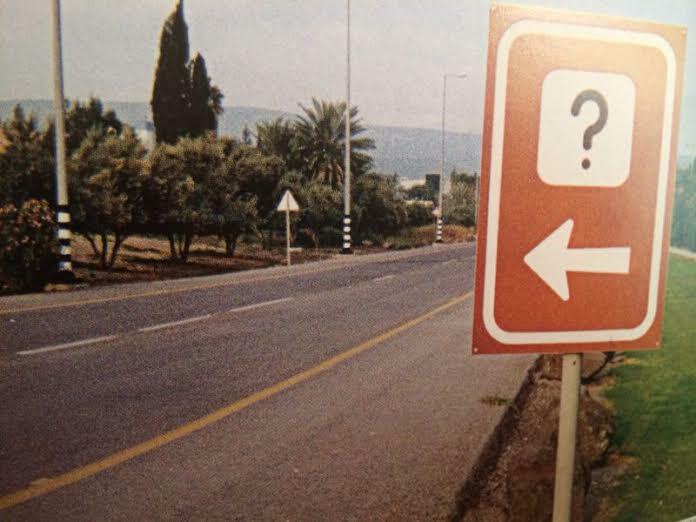 Talking of poles – why are there so many that have such small signs on them? Just look at this classic – one of many, often featuring parking related signs of which there are way too many in the village. 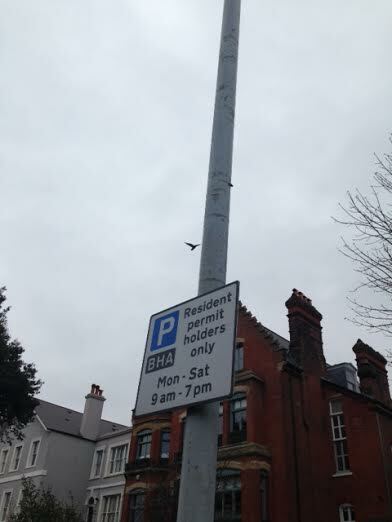 If there is the need for some parking signs, as there surely is, then there are plenty of lamp posts around that could be used without having to install these over-sized monstrosities. 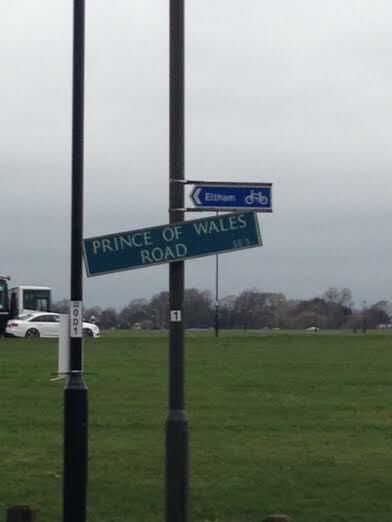 Here’s a favourite: the Prince of Wales Road sign has never been quite straight for as long as we can remember. Perhaps it’s an attempt to fit in with the deliberately wonky sign for the pub? And, as far as we can tell, the sign for cyclists pointing them to Eltham is in fact pointing in exactly the wrong direction. Again, it could always be deliberate! Nearby, what exactly are these things for and why are they do they look so worse for wear? Okay, enough ranting. What, if anything, should be done about this? It’s perfectly possible to argue that life’s too short for this sort of stuff. But at the same time, when local residents go to such great efforts to keep the place clean – as they did this past weekend – should we not also take an interest in this sort of state funded litter? For a small village Blackheath has a diverse selection of restaurants from Argentinian (2) through Indian/Nepalese (4) and yes, a few chains too. We Radicals enjoy the diversity on offer and, in our own selfless way, will endeavour to visit and review all the eateries. There has been some consternation recently that the Curry Garden closed (reducing our number of curry houses) and that its replacement proposed to move the door – yes, in true Blackheath fashion there was an objection! We prefer to be excited about the impending opening of wine bar Le Bouchon. It is not a chain and owner Jean-Philippe Tessier wants to provide a good selection of wines and foods. Do not worry, we Radicals are willing to sacrifice an evening to review it. In the mean time if you want to know where to go to see Cameron Diaz (er, is this right? Ed) or local councillor Kevin Bonavia, find out where ‘quality is no accident’, or discover why we are not snobby about having a chippy, head to our review page. Points will be awarded for working out the toothpick reference. Ever felt that creative urge when in the village? (No, a ‘selfie’ does not count). You weren’t the first. 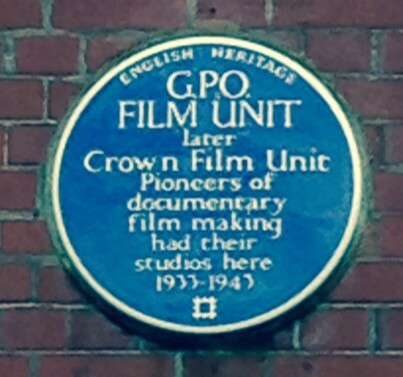 You may be surprised to learn that many up-and-coming film makers cut their teeth at the General Post Office (GPO) Film Unit which set up shop in Bennett Park in 1933 (now the Blackheath Art Club at no.47). But why does this interest the Radicals? Could it be the forward-thinking, progressive, avant-garde approach that challenged the established ways? One film was banned for being a bit ‘Freudian’ (Love on the Wing http://youtu.be/S1qD3gfk4QI) and another managed to mix surrealism with the need to use the correct post code (N or NW http://youtu.be/-x4fzZ7KTiI). Others used weird, wonderful and new colour techniques (Colour Box http://youtu.be/6PgNr0IZRDE). The unit also championed the brave new world and showed that change could be good through insightful and reassuring films about the new-fangled telephone dial (http://youtu.be/GFbRvAuJkXg).